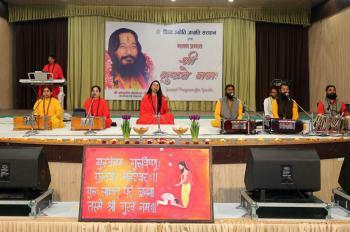 A one day Bhajan Sandhya program was organised in Jalandhar city 3rd August 2014 7:00 PM to 9:00 PM which proved to be a great success as it involved active participation of Chief Guests Sh. 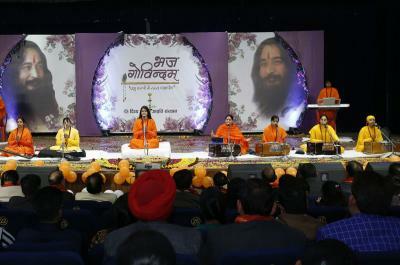 Vasu Gupta (President Rotary Club Adampur), Rajiv Panjhar (Executive Member Bhogpur Punjab), Jathedar Harnam Singh (Circle Pradhan Adampur), Mukadar Lal (Ex-Counselor), Kamal Walia (Counselor), Jai Mishra, Jagdish Vasudev, Swatantar Julka, Subhash Bhanot (BJP Leaders), Munish Aggarwal ( Chairman Aggarwal Sabha Adampur). 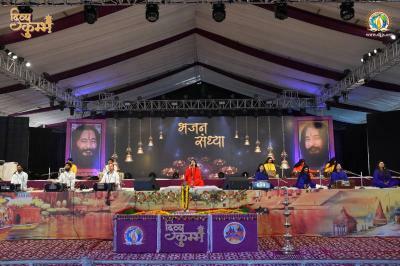 Singing this intense yearning for God and enjoying the experience of adoring Him helps to purify the atmosphere. Man is today forced to breathe the air polluted by sounds that denote violence, hatred, cruelty, and wickedness. Therefore, he is fast losing the high attainments that are in store for him. The vibrations resulting from singing the glory of God can cleanse the atmosphere and render it pure, calm, and ennobling. 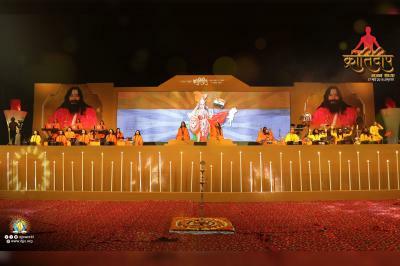 Each one of the delightful, heart-warming and immensely moving devotional and soulful songs composed and sung by none other than DJJS Preachers becomes the highlight of the evening. 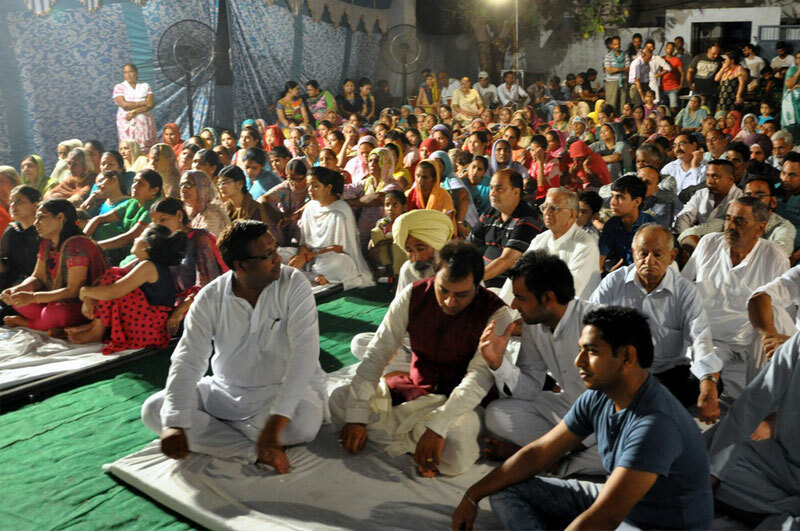 All the people enjoy the evening with grateful dedication.